Sixteen banks have been sued by a US regulator for LIBOR manipulation, the London Interbank Offered Rate, which is used to set global financial transactions in dollars to the tune of trillions of dollars. The FDIC says that it is suing banks it alleges of being involved in LIBOR manipulation spanning from August 2007 to the summer of 2011. Banks being sued include, Radobank, Societe Generale UBS, Credit Suisse, The Norinchukin Bank of Japan, Cooperatieve Centrale Raiffeisen-Boerenleenbank, The Bank of Tokyo-Mitsubishi, Portigon AG, Lloyds Bank, Deutsche Bank, JPMorgan, Bank of American, Barclays, the Royal Bank of Scotland and HSBC. According to the FDIC, sixteen of the largest banks worldwide have allegedly cheated scores of other now non-operational banks of LIBOR manipulation. They are accused of having broken certain swap contracts they had entered into with the now defunct banks, by separately conspiring to fix the LIBOR rate that the contracts were tied to. The FDIC sues the BBA, which had previously been sued by Freddie Mac and Fannie Mae. The FDIC says a total of 38 banks, including Washing Mutual Bank and IndyMac Bank, incurred substantial losses and were taken into receivership. The US regulator did not disclose what level of damages it is seeking. 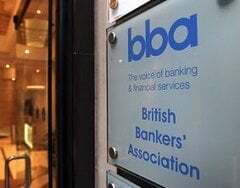 LIBOR, ICE LIBOR or BBA Libor is the average interest leading banks in London estimate that they would be charged if borrowing money from other banks. LIBOR rates are calculated from ten major currencies and 15 borrowing periods ranging from one year to overnight. They are published daily at 11.30 am (GMT) by Thomson Reuters. Several credit card agencies and mortgage lenders set their own rates according to LIBOR. Derivatives and other financial products worth at least $350 trillion are tied to LIBOR. A number of major banks which contribute to estimating LIBOR have been accused of attempting to profit from it by over- or under-stating their submissions. Financial regulators worldwide have been investigating LIBOR manipulation, and there have been $3.7 billion in criminal and civil penalties so far. Some of the banks in this latest lawsuit, including UBS and Barclays have already had to pay approximately $6 billion to resolve charges from European and US authorities that they were involved in manipulating benchmark interest rates. Freddie Mac and Fannie Mae had previously sued several banks as well as the British Bankers’ Association for causing them to incur multimillion-dollar losses. In order not to be seen to be borrowing at higher rates than their competitors, a number of financial institutions understated their submissions during and after the financial crisis.